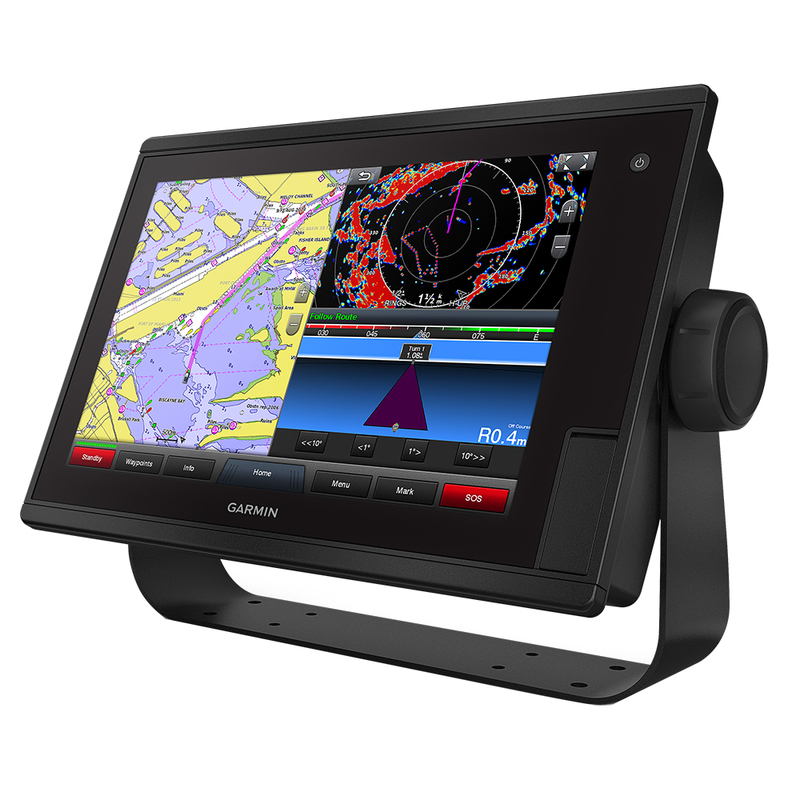 Step up to a 12” touchscreen chartplotter with the GPSMAP 1222 Touch. Ideal for coastal cruisers, it features full networking capabilities to build your marine system with radar, autopilot, sonar modules and sensors. It also supports FLIR cameras, GRID™ keypad, GXM™ 53 marine weather receiver, FUSION-Link™ audio system, VIRB® camera streaming and more. Network sharing allows you to share data among all compatible units connected to the network. Built-in Wi-Fi® supports the ActiveCaptain app. It includes a worldwide basemap and 10 Hz GPS with a refresh rate of 10 times per second. GPSMAP 1222 Touch is fully networked using Garmin Marine Network, NMEA 2000®/NMEA 0183, J1939 and built in ANT® connectivity, so you can build your marine system with radar, autopilot, sonar modules, instruments, sensors, FLIR cameras, FUSION-Link, VIRB camera streaming and more. Network sharing allows you to share data among all compatible units connected to the network. Two SD™ card slots provide expandable memory for accessory map purchases such as LakeVü HD Ultra with Max Def Lakes or BlueChart g2 Vision HD. These maps add Auto Guidance1 and other features.